The nature of sport, including basketball, is that you never stop looking forward. No matter your success, you should always look to make progress and better yourself. Even though the 2014 NBA Draft has just been concluded, there are some people and experts looking forward to the 2015 NBA Draft. This may be a little bit too early to start focusing but there will be scouts keen to ensure that they know what players to look out for. One of the reasons that people are looking forward to next year is down to the success of Andrew Wiggins, the first pick in the 2014 NBA Draft. He was selected by the Cleveland Cavaliers but the product of Kansas was recognised for his skills a year in advance of making his to the NBA. This means that some of the top basketball experts in the US have been scanning the current crop of players to think about who will be first in line for next year. If you like placing bets on future markets, make sure you take a note of some of these names. Who knows, they could be lighting up the NBA in the 2015/1 campaign. 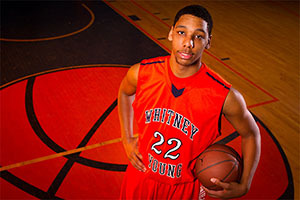 Jahlil Okafor is an impressive 6’11 center at Duke and he is a player that is generating a lot of buzz and excitement about him. He is far from perfect, there are concerns about how athletic he is and his general level of conditioning but these are aspects which can be worked on and improved. It is better to focus on the positive elements of Okafor’s game, which include his touch, his skill level, his hands and of course, his massive size. Emmanuel Mudiay is a respected point guard at SMU and he is able to deliver a strong level of athleticism while providing a good level of vision for a point guard. He needs to show that he has the ability to lead a team this season but there is no doubt that plenty of scouts will be keeping tabs on Mudiay this season. Stanley Johnson from Arizona is another player that is being heavily tipped for success and he is a player with an attacking mentality that is sure to grab attention and focus. There are high hopes that Johnson will be a player that can evolve into a successful NBA player. 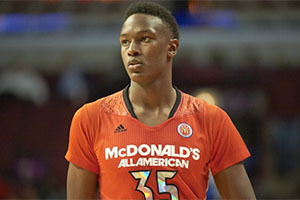 Another massive player with growing expectations is Myles Turner, a centre at Kansas. The player clocks in at close to 7 foot and is a physical player that has the ability to play hard and block big shots for fun. All of these players are worthwhile candidates for the 2015 NBA Draft but of course, a lot can happen in a year. For one thing, there is a chance that the NBA Draft will be put back a couple of weeks. This is to allow a greater level of time between the NBA Finals and the draft itself. This season the Finals finished on Game 5, which created a bit of space to look forward to the main event. This allowed a lot more last minute scouting and hype to take place before the big event. This is definitely something that the NBA is happy to promote and there is a very strong chance that the NBA Draft will occur much later in the summer. You can see the commercial reasons the NBA would have for making more time for the build-up to the Draft so don’t be surprised if there is a change next summer.